Principal instructors Mike Jones and Chris Bergerud have been training in aikido collectively for over 30 years, and have studied under some of the leading aikido teachers in the country, including Shihans Yamada Sensei and Sugano Sensei, both direct students of the founder of Aikido, Morihei Ueshiba. 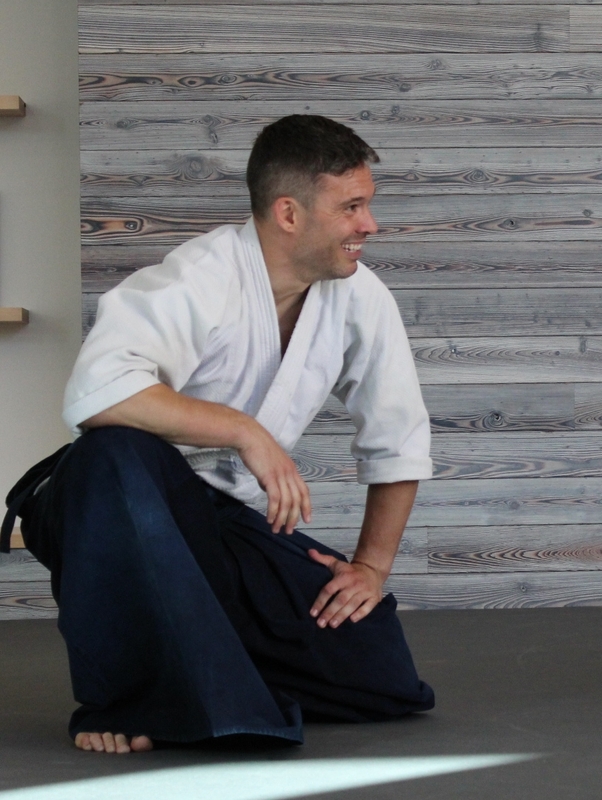 Mike Jones, Shidoin, Chief Instructor at Roaring Fork Aikikai, has been training and teaching Aikido full time for more than 12 years and currently holds the rank of Yondan (4th Degree Black Belt). Jones Sensei began his martial arts training as a teenager in Judo and Karate. He later began Aikido training under George Kennedy Sensei at the Atlanta Aikido Center in 2002. Through the Aikido Center, he was introduced to Yoshimitsu Yamada Sensei, head instructor of the New York Aikikai and President of the United States Aikido Federation. Jones Sensei joined the New York Aikikai in 2004 as an Uchi-Deshi (live-in student) and trained intensely under Yamada shihan and the late Seiichi Sugano shihan, both direct students of the founder of Aikido, Morihei Ueshiba. Later Mike became Head Uchi-Deshi, Dojo Manager, and Instructor. Mike taught Aikido at New York University for several years and has been a technical advisor to the NYPD’s Tactical Training Division to assist in nonviolent arrest methods. Mike has had extensive experience training with many USAF Shihan and others around the world. Yoshimitsu Yamada, Seiichi Sugano, Hayato Osawa, Donovan Waite, Harvey Konigsberg, Peter Bernath, Claude Berthiaume, George Kennedy, Andy Demko, Mike Abrams, Steve Pimsler, Robert Workoff, Hal Lehrman, Elson Olea, Douglas Firestone among many others around the world and members of the New York Aikikai. Chris Bergerud, Fukushidoin, is Dojo-Cho and Senior Instructor at Roaring Fork Aikikai. Chris currently holds the rank of Sandan (3rd Degree Black Belt). Though he started as a practitioner of karate, Bergerud Sensei's love for aikido took off in 1993 when he joined New York Aikikai, where he had the opportunity to study with many world class instructors including shihans Yoshimitsu Yamada, Seiichi Sugano, Harvey Konigsberg, and Donovan Waite. In 1997 when Douglas Firestone, former Uchi-Deshi and current instructor at NY Aikikai, opened Aikido of Westchester in White Plains, NY, Chris began over a decade of intensive study under Senseis Douglas and Sylvie Firestone. In addition, Chris has had the opportunity to study with other excellent teachers including Ray Farinato, Jeff Albright, and Joel Posluns, and to attend seminars with exceptional teachers in the US and around the world, including Aikido Doshu Moriteru Ueshiba, Hayato Osawa, Nobuyoshi Tamura, and Mitsunari Kanai. Chris endeavors to incorporate these diverse perspectives into his daily training. Christopher "C-pher" Bair, lead instructor of the Roaring Fork Aikikai kids' aikido program for ages 8 to 14, holds the rank of Shodan (First Degree Black Belt) in Aikido, and has trained in many martial arts forms since he was a child. 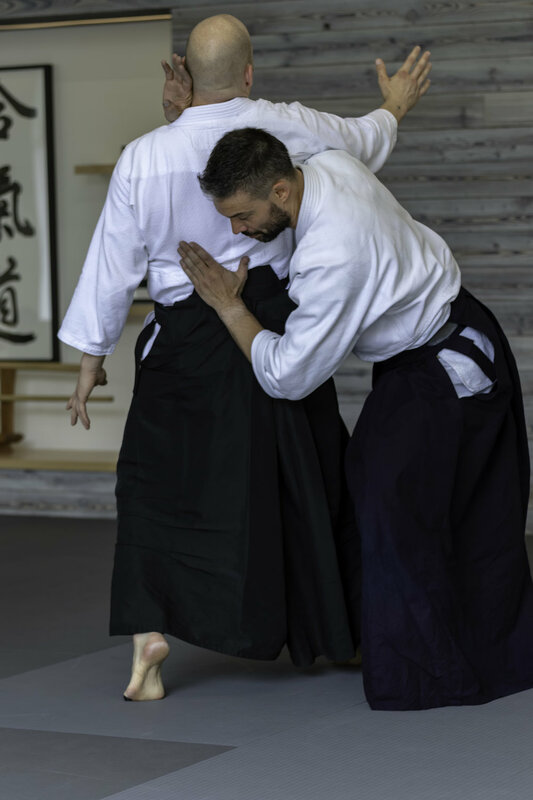 He has been teaching kids' aikido for several years in the Roaring Fork Valley, and some of his long-time students continue to train with us here at Roaring Fork Aikikai. C-pher teaches middle school at Ross Montessori Charter School in Carbondale. Ann O’Brien teaches our Aikido class for young kids ages 5 to 8. Before arriving in the Roaring Fork Valley, she trained aikido with Hiroshi Ikeda Shihan and Tres Hofmeister Sensei at Boulder Aikikai, as well as Lee Lavi Ramirez Sensei in Los Angeles. Ann began meditation and studied Eastern philosophies as a teenager, and has taught children’s Aikido, yoga and creativity classes. Besides being a mother, she is an intuitive healer and writer— with a focus on personal empowerment, energy mastery and conscious relationships.